5 WHO WE ARE? WHAT WE DO? 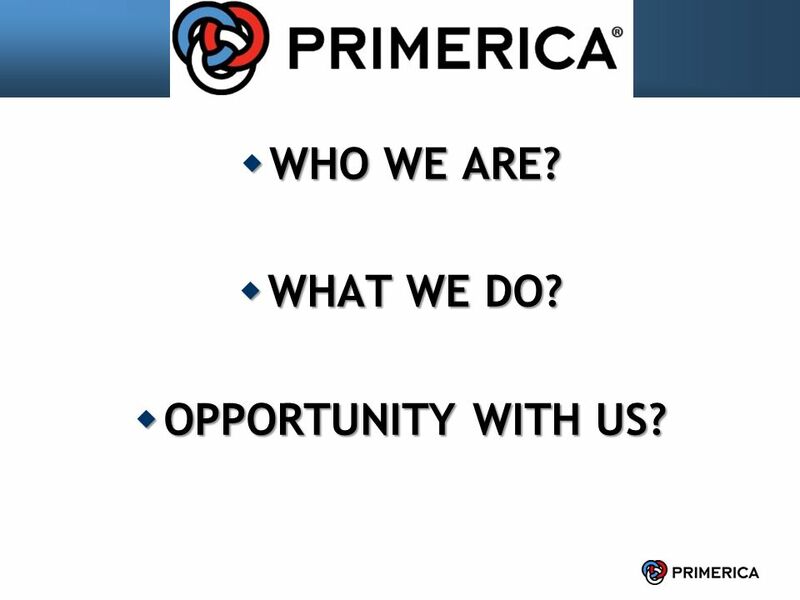 OPPORTUNITY WITH US? We have 3 roles we are interviewing for . . . 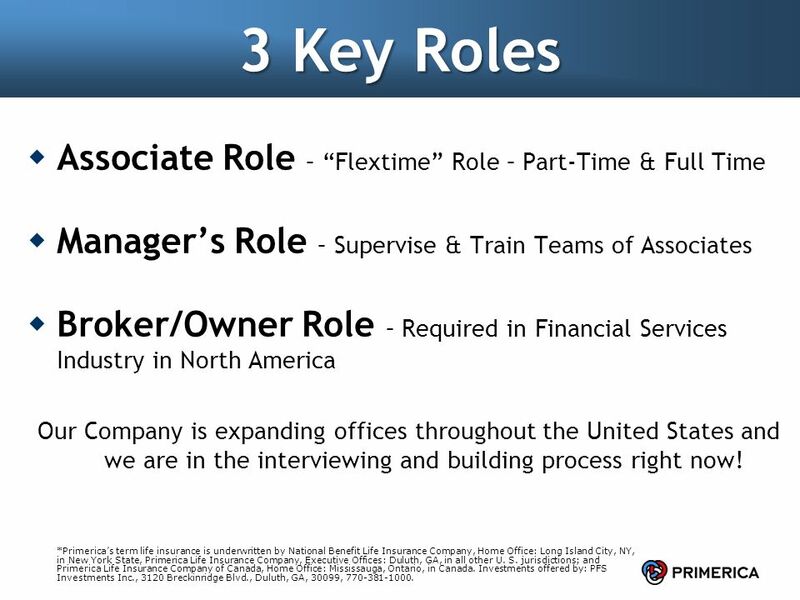 Associate Role Management Role Broker/Owner / VP Role Associate role for us is a “flex time” role. What I mean by that is that we have people that do it both part-time and full-time. We have a manager’s role – a Manager’s responsibility is to supervise and train teams of associates. 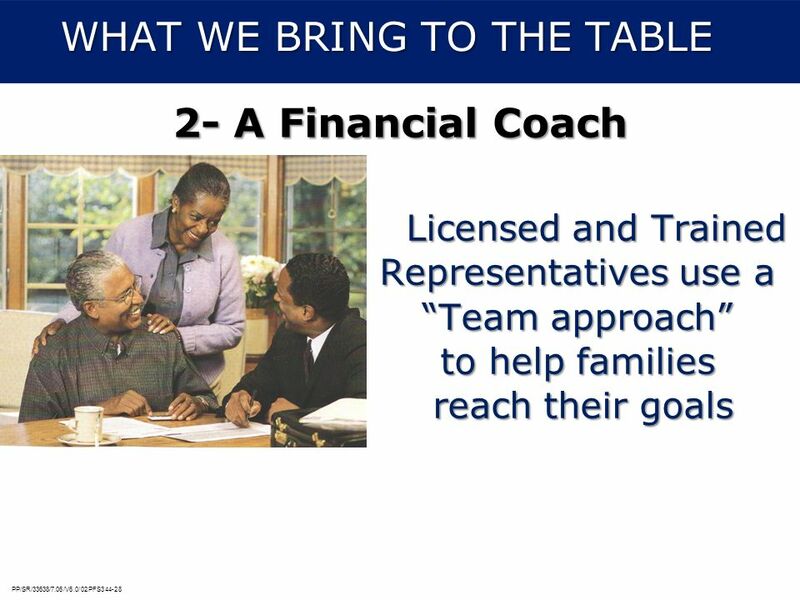 And then we have a Broker’s Role. 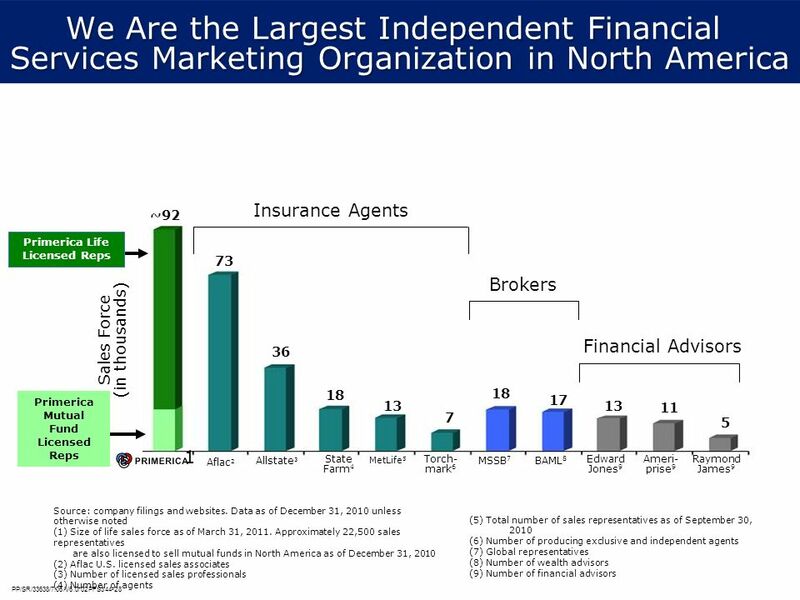 (And this is the financial services industy) so each office is run by a Broker. (In North America they are required to be run by a Broker/Owner). So we are developing people in all three areas. We are in the interviewing process at this point – we are in the building process of a function of our recent IPO. 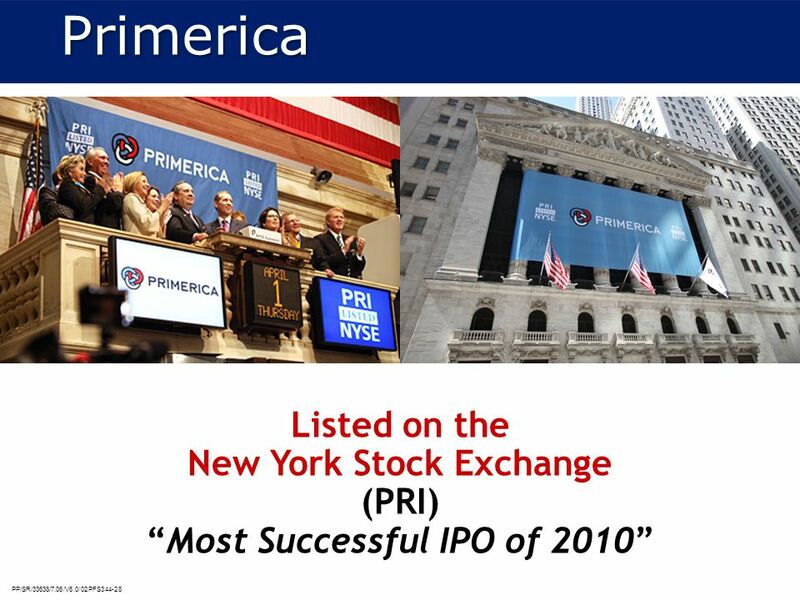 We are listed on the New York Stock Exhange as of April 1, 2010 as PRI I’m going to play a video that’s going to give you some background on that and then we’ll get into it. 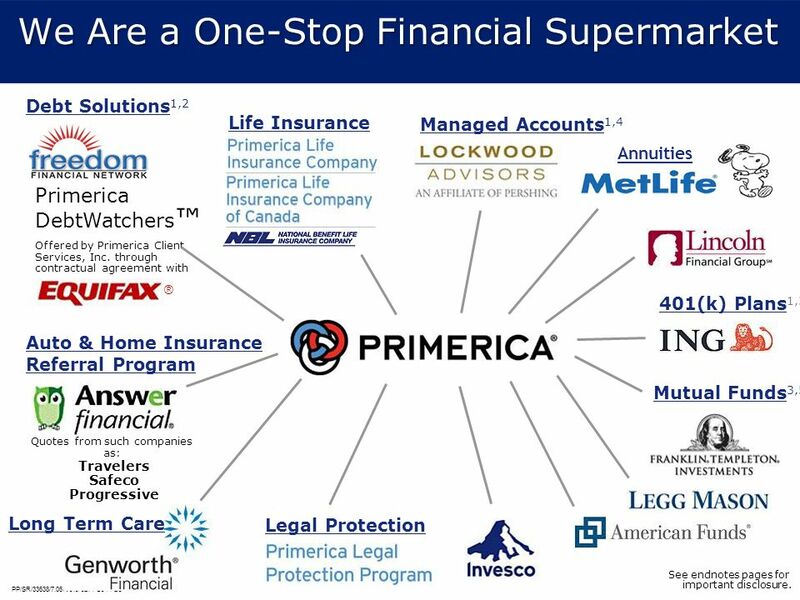 Debt Solutions1,2 Life Insurance Managed Accounts1,4 Annuities Primerica DebtWatchers™ Offered by Primerica Client Services, Inc. through contractual agreement with 401(k) Plans1,3 Auto & Home Insurance Referral Program Mutual Funds3,5 Quotes from such companies as: Travelers Safeco Progressive Long Term Care Legal Protection See endnotes pages for important disclosure. 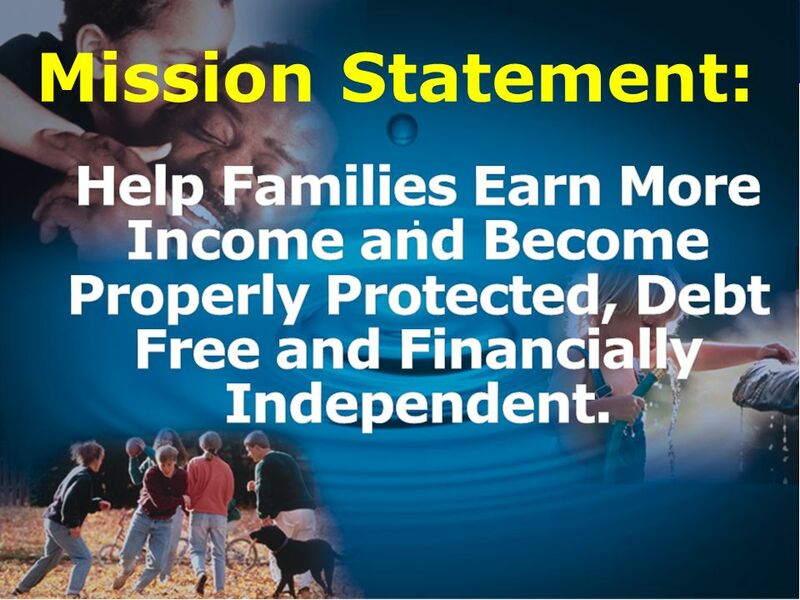 10 Mission Statement: Help Families Earn More Income and Become Properly Protected, Debt Free and Financially Independent. .
Six in 10 workers say that they are living paycheck to paycheck. CareerBuilder.com Survey “Average credit card debt among households with balances on their cards: $15,788.” AARP Bulletin More than half of Americans have no emergency savings. Time.com Bankruptcies topped 1.5 million in CNNMoney.com 68 million Americans have no life insurance. LifeHealthPro.com More than half of all workers have less than $25,000 in savings and investments for retirement. 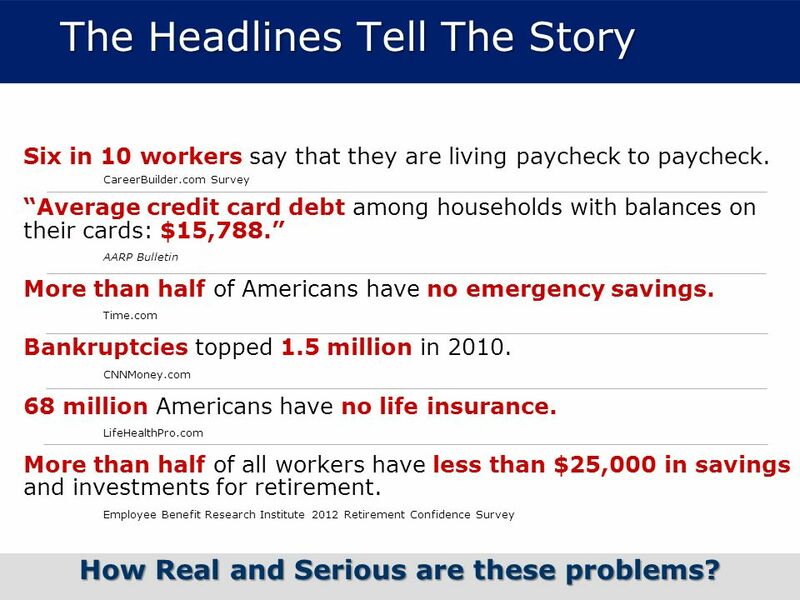 Employee Benefit Research Institute 2012 Retirement Confidence Survey How Real and Serious are these problems? 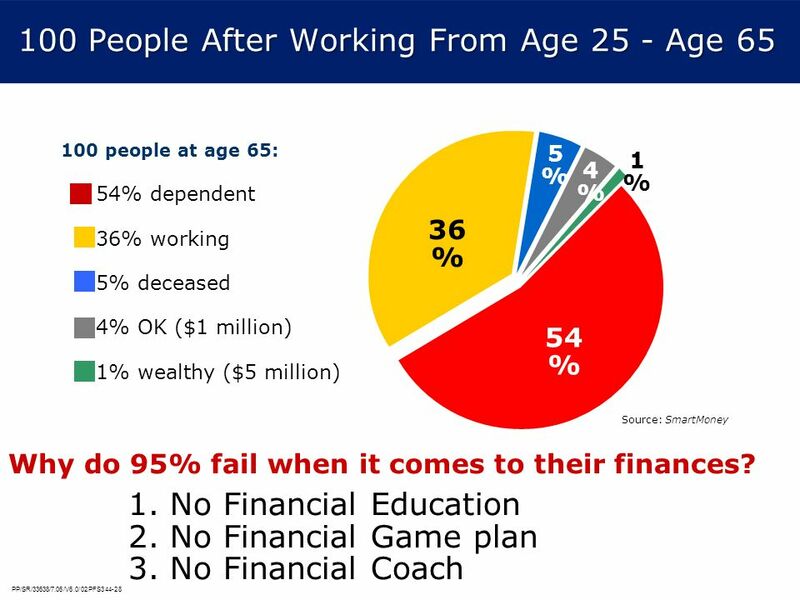 3 - A Financial GPS…the FNA The Problem: Traditional financial institutions sell you products, they don’t provide you with a total solution. The Solution: A Financial Needs Analysis (FNA) A customized, confidential, complimentary program that helps achieve your goals & dreams. 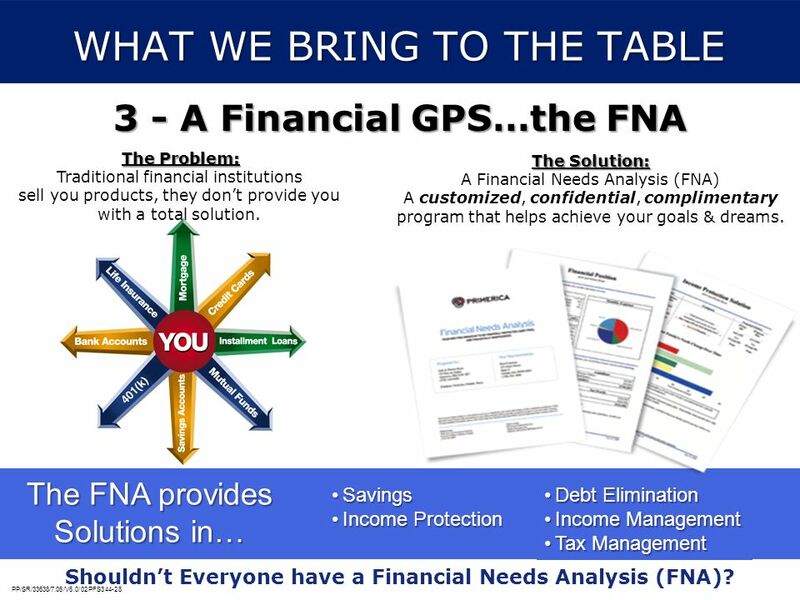 The FNA provides Solutions in… Savings Income Protection Debt Elimination Income Management Tax Management Shouldn’t Everyone have a Financial Needs Analysis (FNA)? 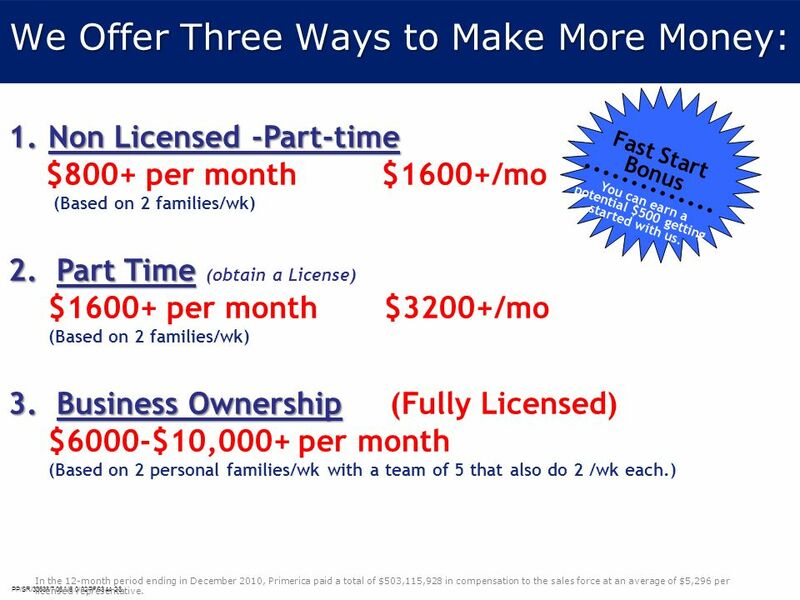 Non Licensed -Part-time $800+ per month $1600+/mo (Based on 2 families/wk) 2. 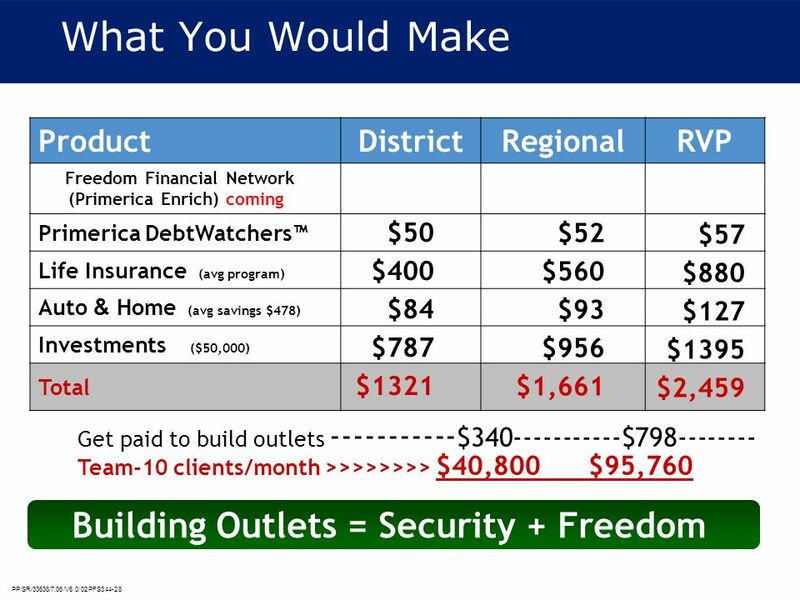 Part Time (obtain a License) $1600+ per month $3200+/mo 3. Business Ownership (Fully Licensed) $6000-$10,000+ per month (Based on 2 personal families/wk with a team of 5 that also do 2 /wk each.) Fast Start Bonus You can earn a potential $500 getting started with us. 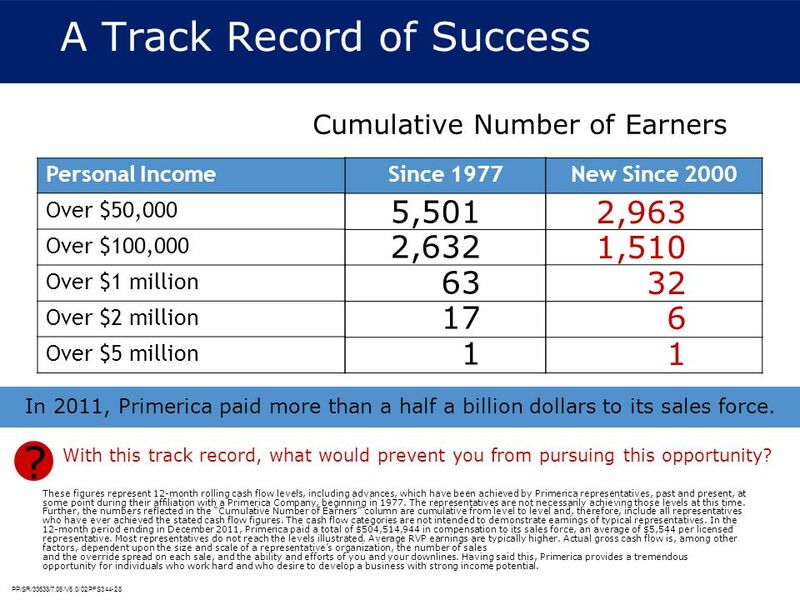 In the 12-month period ending in December 2010, Primerica paid a total of $503,115,928 in compensation to the sales force at an average of $5,296 per licensed representative. 19 Our Challenge Our challenge is not our competitors. It is not a lack of market. Families are desperate “what we do”. 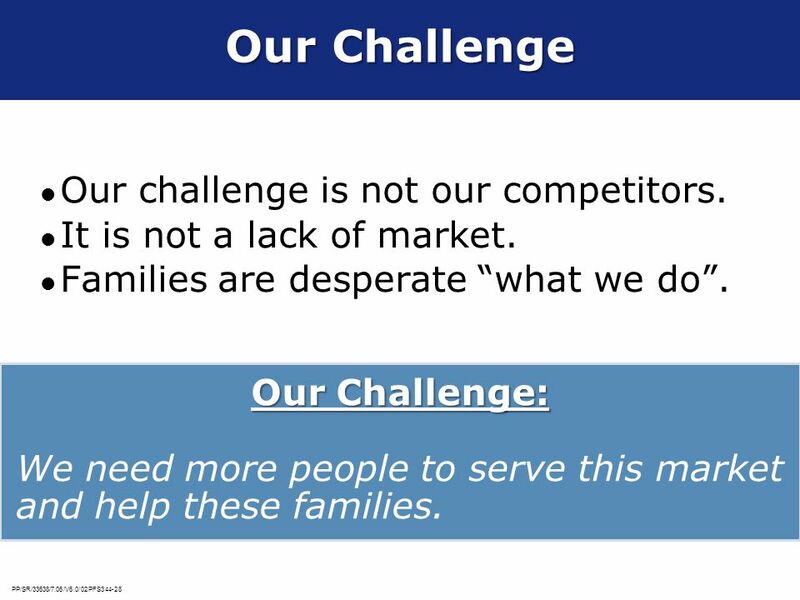 Our Challenge: We need more people to serve this market and help these families. 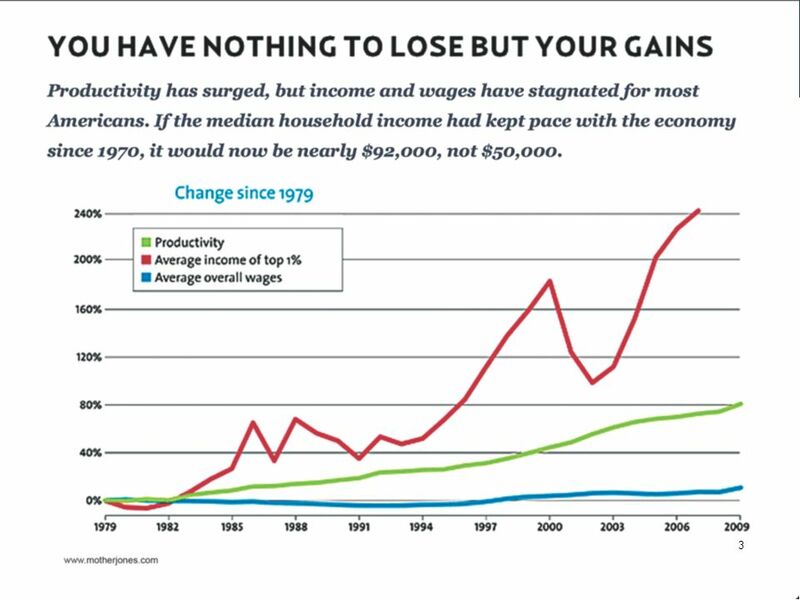 Cumulative Number of Earners Personal Income Over $50,000 Over $100,000 Over $1 million Over $2 million Over $5 million Since 1977 New Since 2000 5,501 2,632 63 17 1 2,963 1,510 32 6 1 In 2011, Primerica paid more than a half a billion dollars to its sales force. 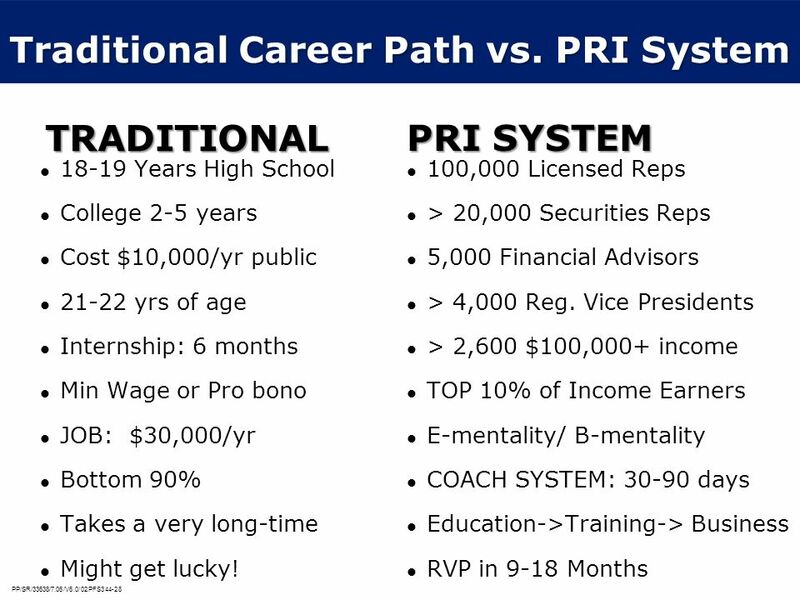 With this track record, what would prevent you from pursuing this opportunity? ? 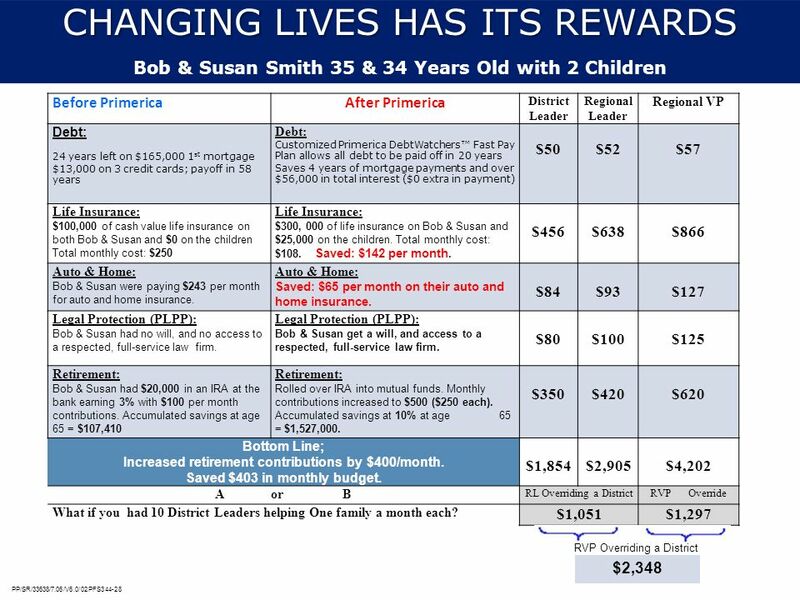 These figures represent 12-month rolling cash flow levels, including advances, which have been achieved by Primerica representatives, past and present, at some point during their affiliation with a Primerica Company, beginning in The representatives are not necessarily achieving those levels at this time. Further, the numbers reflected in the “Cumulative Number of Earners” column are cumulative from level to level and, therefore, include all representatives who have ever achieved the stated cash flow figures. The cash flow categories are not intended to demonstrate earnings of typical representatives. 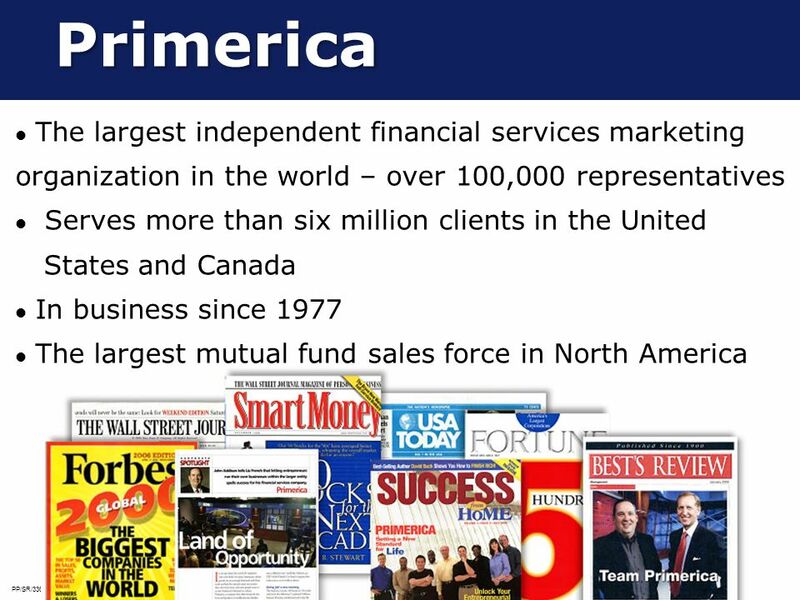 In the 12-month period ending in December 2011, Primerica paid a total of $504,514,944 in compensation to its sales force, an average of $5,544 per licensed representative. Most representatives do not reach the levels illustrated. Average RVP earnings are typically higher. Actual gross cash flow is, among other factors, dependent upon the size and scale of a representative’s organization, the number of sales and the override spread on each sale, and the ability and efforts of you and your downlines. 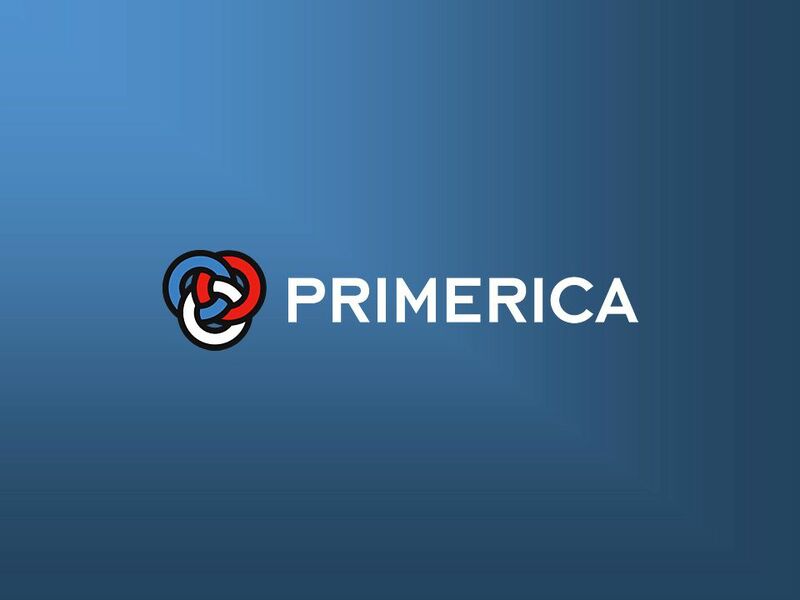 Having said this, Primerica provides a tremendous opportunity for individuals who work hard and who desire to develop a business with strong income potential. What Category are you? 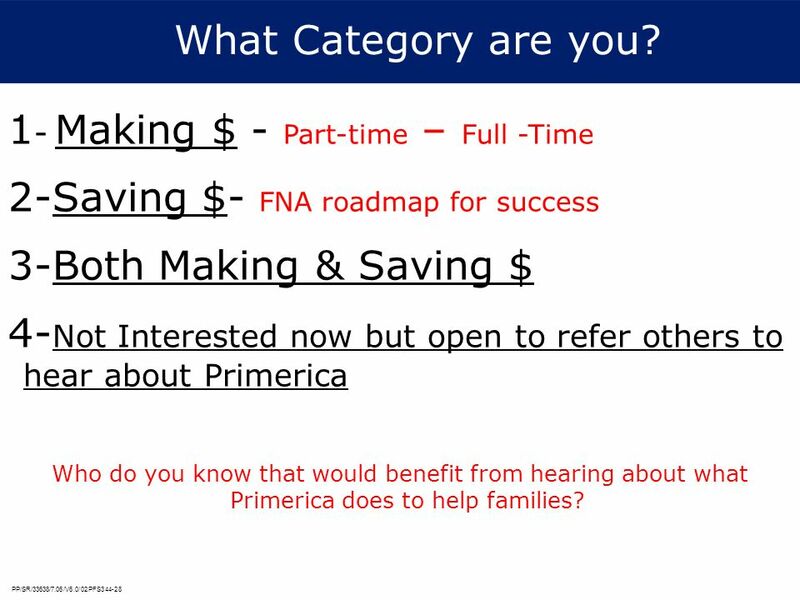 1- Making $ - Part-time – Full -Time 2-Saving $- FNA roadmap for success 3-Both Making & Saving $ 4-Not Interested now but open to refer others to hear about Primerica Who do you know that would benefit from hearing about what Primerica does to help families? At the follow-up interview you can expect: 1. Review everything 2. Answer your questions 3. Ask you about your background, skills, & ambitions, etc. 4. 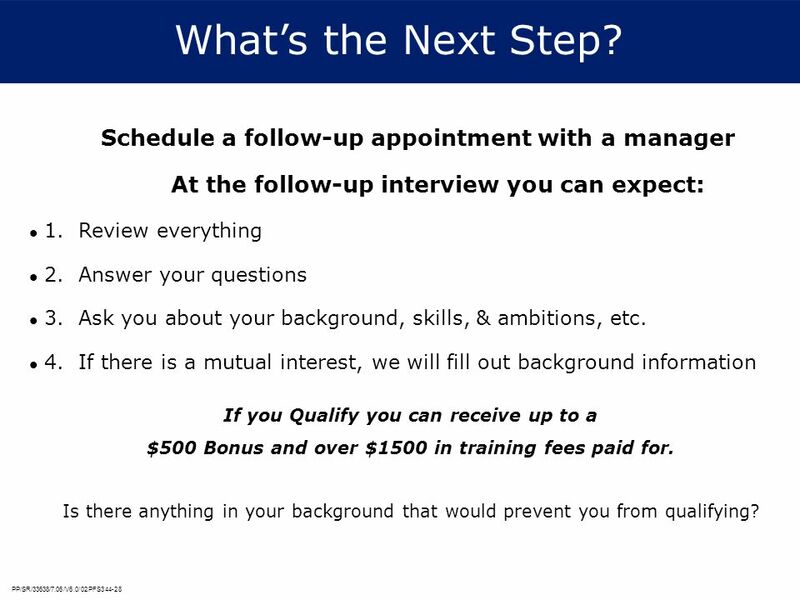 If there is a mutual interest, we will fill out background information If you Qualify you can receive up to a $500 Bonus and over $1500 in training fees paid for. Is there anything in your background that would prevent you from qualifying? 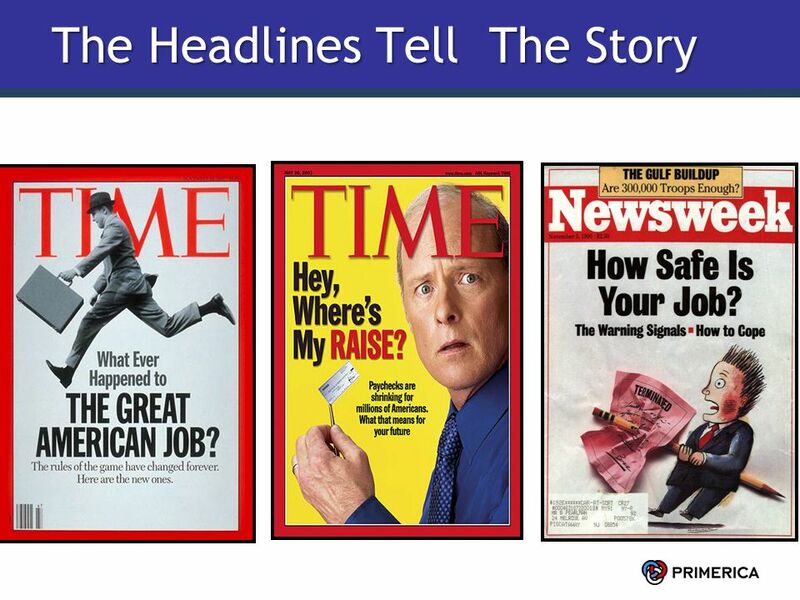 Download ppt "The Headlines Tell The Story"
Financial Services. 7U.S. Federal Reserve, May Baker,D. Dangerous Trends: The Growth of Debt in the U.S. Economy. Washington, D.C.: The Center. RETIREMENT LIFE INSURANCE INVESTMENTS Advisor Examining how working with an advisor can help lead to improved savings and (hopefully) retirement results. 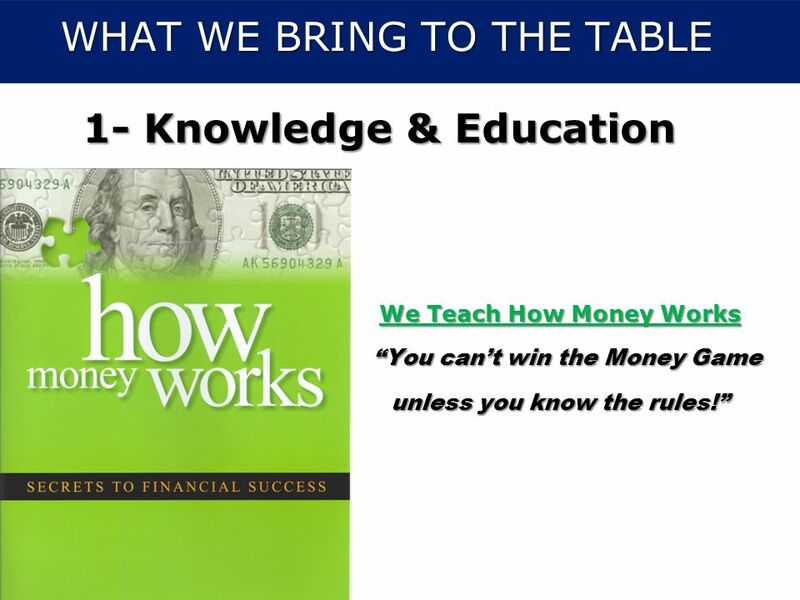 © Family Economics & Financial Education – Revised November 2004 – Saving Unit – Rule of 72 Funded by a grant from Take Charge America, Inc. to the Norton. 1 Utilities Reduction Specialists, Inc. a cost management company Slide 1 of 9 You would not intentionally Burn Cash, yet 80% of organizations may as. Borrower Beware 1. Why Borrow? 2 Consumer Debt for 2012 O Average credit card debt per household: O Total credit card debt in America: O Average student. Financial Education and Career Planning Review Quiz Unit-4 Credit and Credit Cards. Tell me a little about yourself. Are you from the area originally? Brothers? Sisters? Married? Any kids? So what have you done for work since high school?